Home Mobiles Stalkers Using Smartphone Pictures To Find You! Benjamin is an active 8 year old boy who is a member of numerous extracurricular activities such as soccer, Little League, and Boy Scouts. He lives in a quiet community and his neighborhood has a small park located a few blocks away from his house. Before dinner, most evenings, Benjamin and his best friend like to ride their bikes to the park to play catch. Benjamin’s parents don’t worry about his safety because he never travels alone and they know most of the people in their neighborhood. One evening, Benjamin came home from the park after being there for about 10 minutes. Visibly shaken, his mother asked him what was wrong. Benjamin said there was a man, dressed as a soccer coach, who approached him and asked if he wanted to check out some new soccer gear in his car. Benjamin did not know the strange man and knowing that it was unsafe to talk to strangers, hopped on his bike and rode home. Benjamin said the man knew his name, asked him about his latest Boy Scout trip, and congratulated him on getting a goal during his latest soccer game. Benjamin’s mother frantically called the police and while she waited for them to come to their house, Benjamin spotted the man, parked down the street, in his car. The police arrived just as the man was driving away. They stopped him and took him in for questioning. It turned out that the man had a record of predatory behavior. The police officer told Benjamin’s parents that the many confessed to gathering information on Benjamin, and other children in the neighborhood, by viewing public pictures on Twitter and Facebook. Because the pictures were taken with smartphones, the man could get specific details on the children due to the GPS location on smartphones. The officer held an emergency meeting at the school and strongly urged parents, to ensure child safety, to be cautious of posting pictures via the use of smartphones. Doting parents have been taking pictures of their children for years. Whether it’s a blue ribbon at the science fair, the first day of school, or a home run at a Little League game, parents have tossed aside their cumbersome cameras and take advantage of the convenience of a smartphone. Not only do smartphones take great pictures, but within a matter of minutes, Mom or Dad can upload a couple of pictures to Facebook and get a few “likes” and comments before the Little League game is over. When relatives and friends live far away, social networking and picture sharing offers a quick and easy way (not to mention saving the cost of picture developing) to stay connected. However, the pictures and information you share may end up being a lot more public than you think and the more you share, you and your children could become victims of stalking. All it takes, to become a victim of smartphone stalking, is whether or not you have your GPS settings turned on. Each time you take a picture with your smartphone, the image is geotagged (also known as the geographic location of your photo). 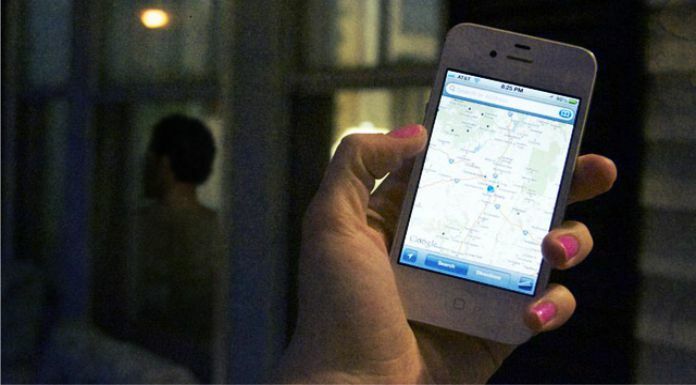 Many smartphone users don’t realize that their pictures are automatically geotagged unless they have gone into their settings and turned off the GPS on their camera. A stalker can easily access specific GPS information about a picture of your child and with the use of online mapping, can show up at the next baseball game, school event or even your front door. Parents will stop at nothing to protect their child. While the increase of smartphone usage has created the public scare of online stalking, making memories through photographs do not need to be sacrificed. If parents would like to continue to take and share pictures with their smartphone, but want do it safely, a few simple steps should be taken. While the site gives specific directions for numerous types of smartphones, users of the iPhone (iOS 4), for example, can disable their GPS settings by going to Settings, General, then Location Services, and then disable certain applications, including the Camera. In addition to becoming a safer smartphone user and avoid becoming a stalking victim, parents should always discuss safe choices and behavior with their children. Regardless if your child is just old enough to talk, old enough to walk to and from school, or are old enough to drive, it’s important to discuss strangers as well as safe internet practices and smartphone usage. If your teen has her own smartphone, have rules about posting pictures and make sure the proper privacy settings are activated. Don’t let the last picture you post on Facebook, of your child playing in the park, be the last picture you ever take of him. Protect your children; post each picture with caution and safely keep those memories alive.